On Monday, 11-12-18 at 11:12 a.m., Officer Williams was dispatched to Seton Hospital on a report of a female subject who climbed up a tree and was threatening to jump. The subject was approximately 50 feet up the tree, and a firefighter who was already at the hospital at another call tried to convince the subject to come down from the tree. Detective Shiu, a member of the DCPD Hostage Negotiation Team, responded and began attempting to convince the subject to come down from the tree. After approximately two hours of negotiations, the subject, a 45-year old San Bruno resident, climbed down and was subsequently placed on a 72-hour psychiatric hold. On Monday, 11-12-18 at 6:37 p.m., Officer Mahan was dispatched to the Original Joe’s of Westlake on a report of a just-occurred assault. The victim’s wife said she and her husband had exited their vehicle in the parking lot and were walking toward the restaurant when they heard a man say, “Hey!” The victim’s wife did not hear what the man said, but she said her husband and the man began to “scuffle”. The victim’s wife, a 77-year old Foster City resident, said she did not know her husband had been hit and was bleeding until they got into the restaurant. The victim, a 75-year old Foster City resident, said the suspect said, “Give me your purse!”, and the victim told him, “F--- you!”. The victim said the suspect was approximately 10 feet away from him and lunged toward him, hitting him in the head with an object that he thought looked like a handgun. Both the victim and his wife stated the incident happened so fast that they did not get a good look at the suspect, other than to say he was wearing all black and was wearing a ski mask over his face. The officers checked the area but were not able to locate the suspect. This investigation is continuing. On Monday, 11-12-18 at 10:04 p.m., several officers were dispatched to Vista Grande Avenue and Woodrow Street on a report of multiple males involved in a fist fight. A 33-year old Daly City resident was the victim of an assault with a deadly weapon via beer bottle by a 28-year old San Francisco resident. The suspect was a convicted felon and was also found to be in possession of ammunition. He was arrested for both crimes. On Wednesday, 11-14-18 at 9:18 p.m., officers were dispatched to a residence on the 400 block of Evergreen Avenue on a report of a possible residential burglary in progress, which led to a suspect who shot into an inhabited dwelling. After an investigation, officers placed a 45-year old male Daly City resident under arrest for shooting into an inhabited place/dwelling, residential burglary, being a felon in possession of a firearm, a felon carrying a loaded firearm, carrying a loaded firearm in a public place, and child cruelty likely to produce injury or death after shattering a window to a door and firing one 12-gauge shotgun round into a residence. Additionally, a 52-year old male Daly City resident was arrested for destroying/concealing evidence and for possession of a controlled substance (methamphetamine). On Thursday, 11-15-18 at 1:51 a.m., Officer Tualaulelei, Officer Ortiz and Officer Shoopman were dispatched to a residence on the unit block of Midvale Drive on the report of a mother and daughter verbal argument. The 58-year old mother said she allowed her daughter to come over and spend the night. The mother said her daughter was spending a long time in the bathroom and believed her daughter was using drugs. Dispatchers advised the 39-year old daughter was on probation with a condition of search and seizure. When officers searched the daughter’s belongings, they found eight hypodermic needles and two Ziploc baggies containing cocaine. Officer Tualaulelei placed the subject under arrest for possession of a controlled substance and for possession of drug paraphernalia. On Thursday, 11-15-18 at 11:17 p.m., Officer Mendiara, Officer Brenes and Officer Shoopman were dispatched to Mission Street and Evergreen Street on a report of a belligerent subject on the SamTrans bus. The subject appeared to be under the influence and was belligerent. The subject, a 31-year old San Mateo resident, was subsequently arrested for felony battery upon a peace officer, obstructing/resisting a police officer and for being under the influence of a controlled substance. After being medically cleared at the hospital, the subject was booked in jail. On Friday, 11-16-18 at 12:00 p.m., Officer Gill was on patrol and saw a vehicle run a stop sign at Oliver Street and Brunswick Street. Officer Gill tried to conduct a traffic stop, and the driver of the vehicle sped away from the officers, leading him through the neighborhood until the driver took a wide turn on Bellevue Avenue and crashed into a parked car. The driver then exited the vehicle and ran away from the vehicle. He was eventually detained at the corner of Templeton Avenue and Hanover Street. The subject, a 22-year old San Francisco resident, was on probation. Officer Hyink assisted with the collision investigation, and he found a loaded black semi-automatic .45 caliber pistol in the front passenger area of the subject’s vehicle, as well as the subject’s iPhone. The pistol was reported stolen from San Francisco. The subject was arrested for carrying a loaded firearm with a prior felony charge, concealing a firearm within a vehicle, carrying a loaded firearm while prohibited, hit and run with property damage, resisting a peace officer, carrying a stolen loaded firearm, possession of ammunition by a prohibited person and for a probation violation. On Friday, 11-16-18 at 2:45 p.m., Officer Herrera was dispatched to the front desk at the police station on a report of a kidnapping. The reporting party said she received a call from a female saying she was her daughter. The report said the woman was yelling, “Help me mom, they are going to kill me.” The reporting party said a male then came on the phone and knew her first and last name. The reporting party said the male then told her he would put a bullet in her daughter’s stomach and cut off her finger if she did not give him money. The male said his name was “Archo Chopa” and he was a gang member. The reporting party told the male that she could only give him $60, and the male told her to meet him on El Camino, not giving an exact address. The reporting party then called her daughter and confirmed she was safe at work in Sacramento. Officer Herrera advised the reporting party to not accept any calls from this number. On Saturday, 11-17-18 at 7:27 a.m., Officer Haas and Officer Baroni were dispatched to the intersection of Schwerin Street and Geneva Avenue on a report of a subject sleeping in a vehicle that was in the middle of the street, causing cars to back up and drive around the vehicle. Officers found the subject sleeping with his foot on the brake pedal. They smelled an odor of an alcoholic beverage emanating from the subject, and after administering field sobriety tests to the subject, a 25-year old San Francisco resident, they placed him under arrest for driving under the influence. On Sunday, 11-18-18 at 11:37 p.m., Officer Soyangco was dispatched to the area of Oriente Street on a report of a male advising he just assaulted his girlfriend. Dispatchers gave the name of the cell phone account holder, and they were advised the account holder’s son was in possession of the phone. Officer Soyangco found a male and female on the 400 block of Oriente Street, and he asked them if they called 911. The male subject gave the officer his name, which matched the name the dispatchers gave as the account holder. Officer Todaro and Officer Covarrubias arrived on the scene to assist. Both the male and female were involved in a verbal dispute, and the male admitting to making a false police report to dispatchers. The male, a 19-year old Rancho Cordova resident, was arrested for making a false report of a crime. There was one attempted robbery during the past week. On Monday, 11-12-18 at 6:35 p.m., a 75-year old Foster City resident was the victim of an attempted robbery that occurred in the parking lot of the Original Joe’s of Westlake. See “Notable Reports” for more information. There were no residential burglaries during the past week. There were four commercial burglaries during the past week. On Tuesday, 11-13-18 at approximately 5:06 p.m., an unknown suspect(s) burglarized the Westmoor Clubhouse by smashing a window. This investigation is continuing. On Wednesday, 11-14-18 at approximately 2:00 p.m., three unknown suspects stole cosmetics from the Walgreen’s on San Pedro Road. The subjects fled in a black Honda. The first suspect is described as a black male, 20’s, 5”10”, thin build, wearing a gray/white hooded sweatshirt and light blue jeans. The second suspect was described as a black female, 20’s, 5’6”, stocky build, wearing an orange jacket, white shirt, blue jeans and orange sneakers. The third suspect was described as a black female, 20’s, 5’7”, thin build, wearing a black long extending piece of fabric, black shirt, pink pants and black sandals. They fled the store in an unknown vehicle. On Wednesday, 11-14-18 at approximately 2:28 p.m., officers were dispatched to the Walgreen’s at Westlake Shopping Center on a report of three unknown suspects who stole cosmetics. The description of the suspects matched the ones who burglarized the store on San Pedro Road a few minutes prior to this incident. Both of these cases are being investigated. Between 5:06 p.m. on Tuesday, 11-14-18 and 7:52 p.m. on Wednesday, 11-14-18, the Westmoor Clubhouse was once again burglarized by an unknown suspect(s) who broke a kitchen window to gain entry. The loss is currently unknown. There were eight vehicle burglaries during the past week. For some reason, half of the burglaries were to Toyota Corollas. •	300 block of Park Plaza Drive—two sets of golf clubs, sunglasses, shoes and coins were taken from a 2000 BMW 525i. The left front window was smashed. Occurred between 9:00 p.m. on 11-12-18 and 9:00 a.m. on 11-13-18. •	Parking garage (3rd floor) at 2051 Junipero Serra Boulevard—nothing was taken from a 2007 Toyota Corolla. The right rear window was smashed. Occurred on 11-14-18 between 3:30 p.m. and 6:30 p.m.
•	100 block of 87th Street—a wallet was taken from the front passenger seat of a 2005 Honda Civic. The left rear window was smashed. Occurred on 11-14-18 between 6:00 p.m. and 7:45 p.m.
•	Parking garage (3rd floor) at 1901 Junipero Serra Boulevard--$20 in change was taken from a 2018 Lexus NX300H. The right rear window was smashed. Occurred on 11-15-18 between 7:10 p.m. and 8:35 p.m.
•	100 block of Accacia Street—an empty backpack was taken from the trunk and sunglasses were taken from the console of a 2012 Toyota Corolla. The right rear window was smashed. Occurred between 11:30 a.m. on 11-15-18 and 7:00 a.m. on 11-16-18. •	Home Depot parking lot—a purse containing a driver's license, $40 and other miscellaneous items was taken from a 2003 Mazda MPV. An unknown window was smashed. Occurred on 11-16-18 between 4:31 p.m. and midnight. •	Parking garage (2nd floor) at 2051 Junipero Serra Boulevard—miscellaneous items were taken from a 2004 Toyota Corolla. The right rear window was smashed. Occurred on 11-16-18 between 8:15 a.m. and 6:30 p.m.
•	Parking lot at the Alpine Inn Suites—luggage containing foreign currency, a GPS unit, two Fossil watches and a hard drive was taken from the trunk of a 2016 Toyota Corolla. Occurred on 11-16-18 between 8:30 a.m. and 5:30 p.m. There were two vehicles stolen during the past week. •	Unit block of Wilson Street—a 2001 Toyota Sienna. Occurred between 7:30 p.m. on 11-12-18 and 3:30 p.m. on 11-13-18. 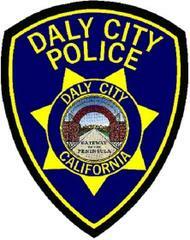 **Recovered by Daly City P.D. on 11-19-18. An arrest was made. •	Unit block of Teresa Street—a 2001 Hyundai Accent. Occurred between 5:30 p.m. on 11-15-18 and 6:50 a.m. on 11-16-18. **Recovered on 11-16-18 by Daly City P.D. The vehicle was towed for parking on private property. San Mateo County residents can safely dispose of household hazardous waste (HHW) free of charge on Saturday, December 8th only by appointment. Residents are required to schedule an appointment at San Mateo County’s HHW program on line at www.smchealth.org/hhw or by phone at (650) 363-4718 and select option 3. You will be given the drop off location after you make your appointment. The limit is 10 gallons (liquid) or 50 pounds (solid) per appointment. No business waste accepted. Accepted items include acids/bases, aerosol cans, automotive supplies (car batteries, motor oil, antifreeze, brake fluid), cleaning products, fertilizers, pesticides, flammable liquids, fluorescent lights (compact and tubes), paint, inks, and photo chemicals. No radioactive, explosive, medical or commercial waste is allowed. All waste collected is reused, recycled, or stabilized for proper disposal to achieve zero waste being landfilled.